You have to create Apple ID login enables you to download from iTunes and the App Store. It also grants you access on the iPhone such as sync calendars and contacts through iCloud. As well as register on several apple platforms including FaceTime and iMessage. 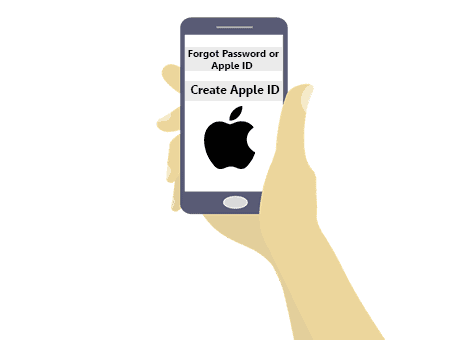 Although it is not compulsory to create Apple ID it is essential to have one in order to get the most from an iPhone and iPad. Here’s how you can create a new ID. 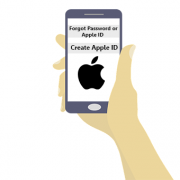 How to create Apple ID(new) on the iPhone. First, Launch the Settings app on the iPhone. Then, Tap on Sign in. Tap on Don’t have an Apple ID or forgot it? Tap to Create Apple ID on the window pops up. Proceed by tapping on Next. Filling your first and last name. Select to use an email address or get a new iCloud email address. Then, Create and Verify your password. Fill in an answer and Repeat twice. You can decide to Merge or Don’t Merge to sync iCloud data from Safari, contacts, calendars, and reminders. Tap on OK to enable Find My iPhone. How To Sign on to iCloud With An existing Apple ID. Click Sign in to your iPhone at the top of the screen. Enter the email address and password accompany with your Apple ID. Ensure your iCloud Photos are arranged the way you want them. Switch on or off Apps using iCloud. Note: In iOS 11 and later, you add Apple ID and password using the Keychain password feature on keyboard suggestion bar. Touch the Apple ID icon at the top of the screen. Enter the password for the Apple ID. Proceed to tap Turn Off. Choose data you wish to keep a copy of on the iPhone and then toggle the switch on. Tap on Sign Out at the upper right corner. To get more Check out more iPhone tips on our blog.